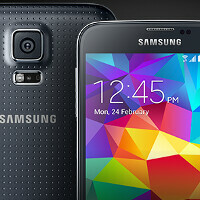 Samsung Galaxy S5 for Verizon and AT&T are rooted; $18,000 bounty to be collected? Toward the end of last month, we told you that the Samsung Galaxy S5 for Verizon and AT&T had been locked down so tight, that a number of XDA members offered a cumulative $18,000 bounty to the person who could come up with a method to root those specific models. Now, there might be a winner. According to XDA member geohot, he has come up with a tool that will bring root access to the flagship phone. According to geohot, rooting the Galaxy S5 also apparently disabled secure container KNOX, and the method is available for almost all Android phones sporting a kernel build date before June 3rd, 2014. Newer HTC and Motorola phones are not included because they are write protected. Just keep in mind that you should know what you're doing before embarking on this adventure. If you don't, you could end up bricking your phone. And of course, your warranty will be reduced to toilet paper, so make sure that this is something that you really, really want to do. Geohot? as in George Hotz? He's now showing love to Team Android. The most easiest root method I have ever used; download apk, install apk, launch apk, let phone reboot and your now rooted. Holy crap, I just looked up who this kid (he's 24!) is. He carrier unlocked the iPhone, was the first to jailbreak the iPhone, and got sued by Sony for hacking the PS3. Impressive. Didn't read all the messages, but looks like this also roots the locked down ATT Note 3 as well as some other locked down devices. Some people are having a few issues, but most root attempts look like they're working fine. Great work by geohot. Samsung: KNOX is not wanted nor needed for most of us. Stop shoving it down our throats and locking the phones up. So when it says "Newer HTC and Motorola phones are not included because they are write protected." Is this talking about the Moto X? The devs normally end up with a fraction of whatever the bounty is. Blame the damned carriers. I remember a few years ago in a forum, I was jumped by members when I suggested the Galaxy S3 Verizon model would be bootloader locked. They told me that Samsung didn't lock bootloaders, called me an idiot. None of them had much to say when it released. In this case, it seems more Samsung's fault than the carriers'. Once Samsung started including KNOX on its phone, the phones got more and more locked down. Now the locked bootloaders may be due to the carriers and not Samsung. Exactly. Verizon doesn't want you enabling any functionality they could charge you more for. I remember when Verizon used to block access to the GPS for any app other than VZNavigator on WinMo phones. "knox has nothing to do with this... it come with the phone but you dont have to use it" KNOX has a lot to do with the phones being locked down. You should read up on it. Just because you don't make a KNOX container and put apps inside of it doesn't mean there aren't specific requirements to have secure KNOX containers in the first place. There was a large disturbance in the touchwiz force recently. Its like they all cried as a whole then went silent. I hope Geohot gets his due. Even a small percentage of the bounty would be a nice chunk of change. I'll be surprised if he gets anything close to that $18000 (especially since that one guy the pledged $4000 probably won't follow through). This crap that Verizon has been pulling with locking their phones down is just one more reason I'm glad I switched to T-Mobie. I'll never buy a phone from a carrier ever again. This is why i hate 2yr contracts. Sometimes it seems like you have zero freedom over your own device anymore.